The Victoria Nyanza Sailing Club in Uganda is the place to be for (prospective) sailing enthusiasts in Uganda. Beautifully located in a sheltered bay at the shores of Lake Victoria in Kampala, the VNSC offers 52 weeks of excellent sailing sailing conditions in a friendly and sporty environment. The VNSC organises sailing events every Sunday afternoon. 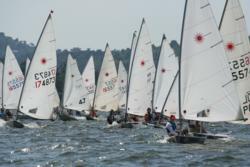 Activities start at usually 13.00, and may be competitive sailing, training, and fun sailing. 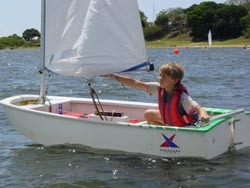 The Victoria Nyanza Sailing club has a professional training programme for adults and children. Twice a year, in January and September, the VNSC offers an adult sailing beginners course during two consequtive weekends. Children's course are organised at request. You can subscribe to the sailing course by clicking here. The clubhouse with its stunning view, the bar, kids swimming pool, and excellent lunches on Sunday provide a perfect setting for those who just want to relax after and before a hard week's work. The VNSC is located 12 km from Kampala, and can be reached by boat from Munyonyo and by car. The VNSC premises are also the perfect place for official functions, school outings and parties.